C+M Residential is proud to present this outstanding street facing town residence of low maintenance living and lifestyle benefits. 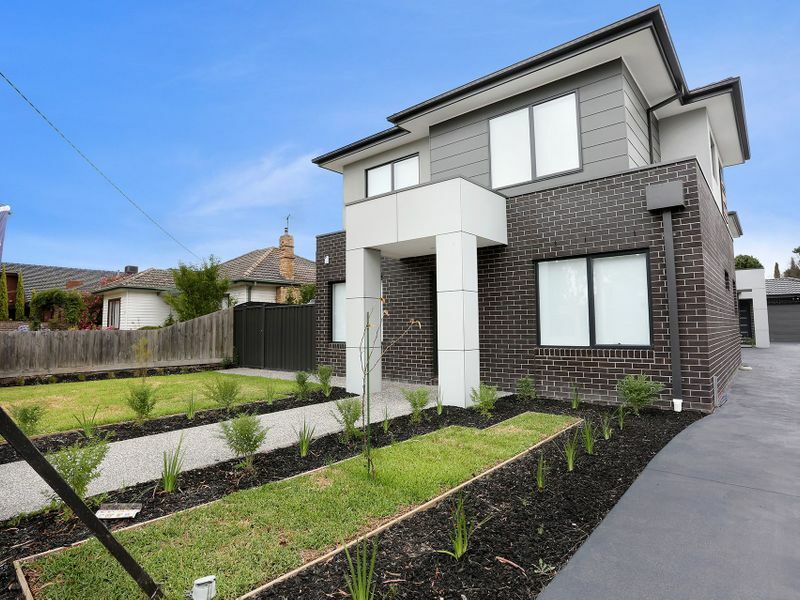 Greeted by the open plan living and smart kitchen area design, you are immediately drawn into what is on offer in this larger than average townhouse. 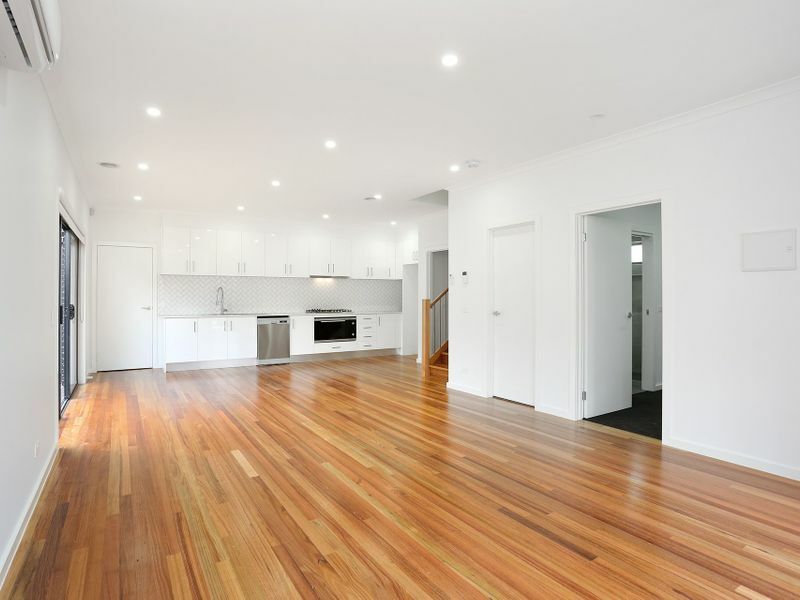 Highlighted by natural light and polished floating timber floorboards the Kitchen area is sectioned off with its cesar stone bench top and high gloss cabinetry. The living zone area downstairs extends out to an outdoor courtyard area of low maintenance in design. This area provides a seamless flow between the indoor and outdoor living zones creating a wonderful atmosphere for relaxing or entertaining Ã¢â?¬Â¦ the choice is yours! Additionally, there is a separate large Laundry room. Downstairs also consists of a bedroom with semi-ensuite bathroom and/or guest room. The polished timber stairs with matching handrail, draws your attention upstairs to an open large study area. There is also three additional bedrooms and two bathrooms. The main bedroom served by a simple, yet functional en-suite and walk in dressing room. The additional two large bedrooms are served by a main bathroom. Bathroom areas are finished to the highest quality with floor to ceiling large stone tiling. The main bathroom also includes bathtub. Located in a growing part of the Hadfield area and in a central location, this town house will impress those looking for centrally located home to all your needs. - BEDROOMS: 4 carpeted bedrooms with robes. Main bedroom with split system and en-suite. 4th bedroom downstairs with semi-ensuite guest bathroom. 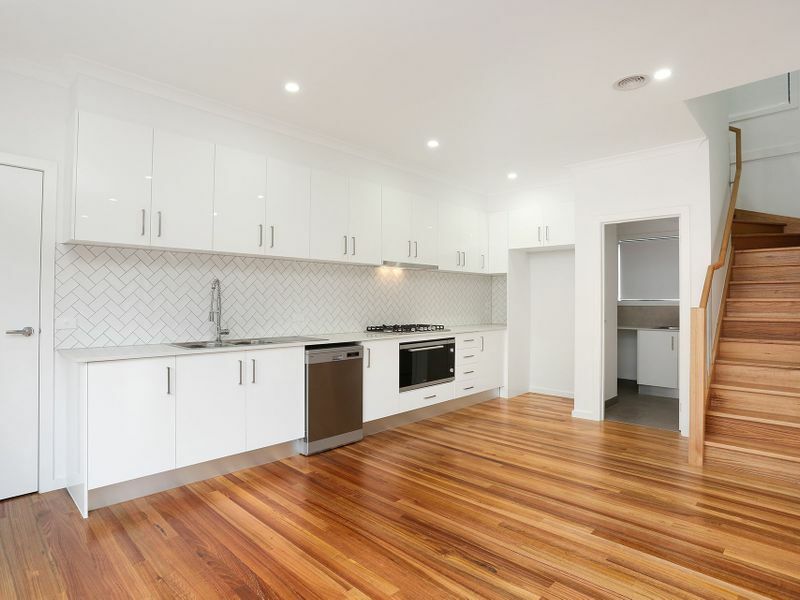 - KITCHEN: Laminate cabinetry with Caesar stone benchtops, tiled splash back, S/S appliances including kitchen sink & extendable tap hose, dishwasher, double sink. - MEALS: Open plan area with polished floor boards. 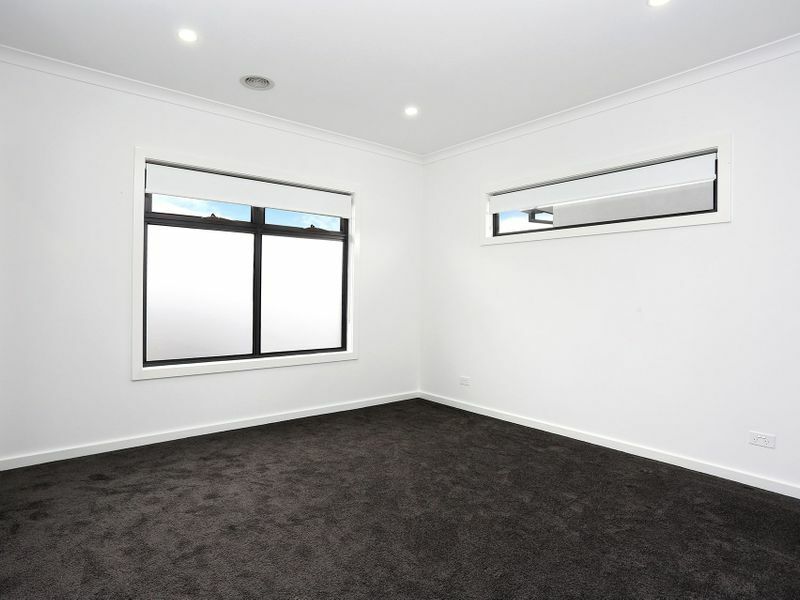 - LIVING: Open plan area with polished floor boards. 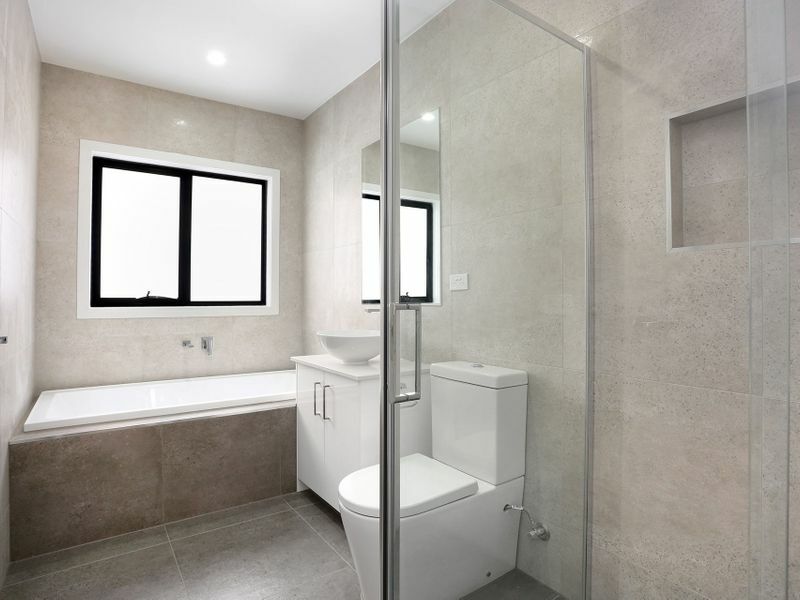 - BATHROOMS: 3 x bathrooms in total. Large shower cubicles, single vanity, combined toilet, fan, floor to ceiling stone tiling. Main bathroom upstairs with large bathtub. - LAUNDRY: Separate laundry room with stone bench and cupboards, Single sink. 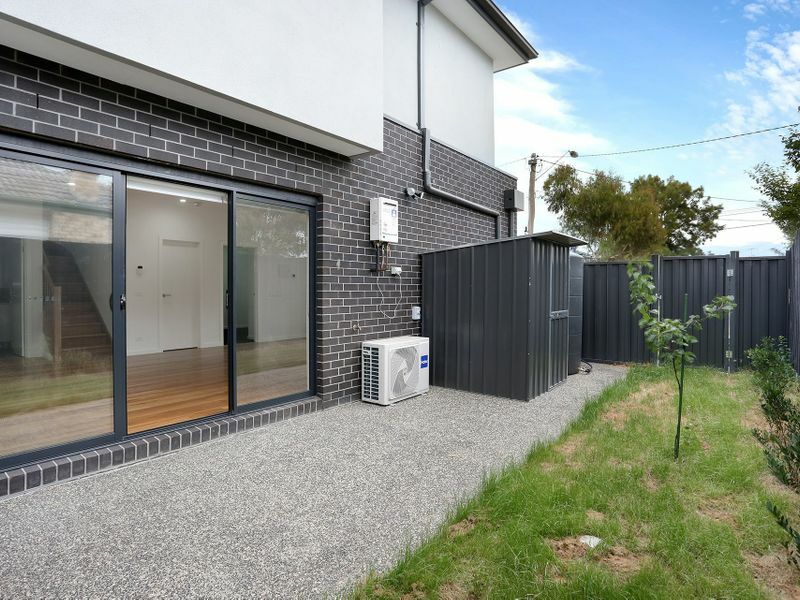 - HEAT/COOL: Ducted heating throughout with Split systems in main living area and main bedroom upstairs.